AuPair.com makes every effort to ensure that all our users, in particular Au Pair agencies, meet quality standards. Our aim is to protect Au Pairs and Host Families and to recognize the work of our best partner agencies. Thus, we would like to introduce our “Certified Agencies” program. 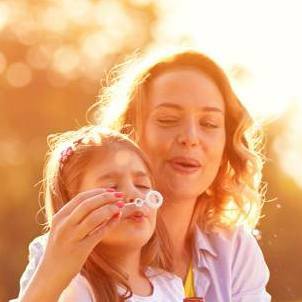 Thanks to this new service, agencies can obtain a certificate of quality and will receive other benefits which will help them to reach more Au Pairs, Host Families and new partner agencies through our platform. AuPair.com sends a mail message containing a list of recommended agencies to every Au Pair right after registration. Would you like to see the name of your agency on this list? Just apply for our certificate and reach your customers with zero effort!! Furthermore, certified agencies will be featured in the list of recommended agencies sent to all the Au Pairs who might be interested in the member agency’s service. In order to become a member of the ‘Certified Agencies’ program, the agency must first join our service. To do so, the Au Pair agency has to register on our site. In order to join AuPair.com, the agency has to create an account and has to provide us with the necessary information. We will then check the account and will provide the agency with access to advanced features of the service. We are doing our best to ensure a safe and friendly environment at AuPair.com, but we may be open to an agency suggestion if any of the above points is troublesome to meet (within reason). understand the concept of the Au Pair program and adhere to its regulations. consider the Au Pair program being a culture exchange program and acknowledge that the Au Pair is meant to be a temporary host family member, not a domestic worker. understand that the main purpose of the Au Pairs is to get to know the language and the culture of the host country. are committed to supporting both the Au Pairs and the Host Families throughout the application and matching process as well as throughout the Au Pair stay at the Host Family’s place. understand the need for mediation in case of potential conflict between Au Pairs and Host Families and have to ensure that both sides are treated equally. arrange a new match for both Au Pair and Host Family in case of failure of the Au Pair relationship. provide a 24-hour emergency number for the Au Pair program participants. provide at least two recommendations from other certified or IAPA Au Pair agencies. meet the legal requirements and are authorized to place Au Pairs. present a website with all the information about their Au Pair programs and a valid address and phone number under which they can be reached. Both Au Pairs and Host Families adhere to the Au Pair program rules. We would like to encourage all Au Pair agencies interested in the participation in the ‘Certified Agencies’ program to get in touch with us! We will ask the agency’s representative a few questions and possibly meet during an interview. We may ask to provide all the necessary information and documents, but we will do our best to guide the agency through the process without any complications.